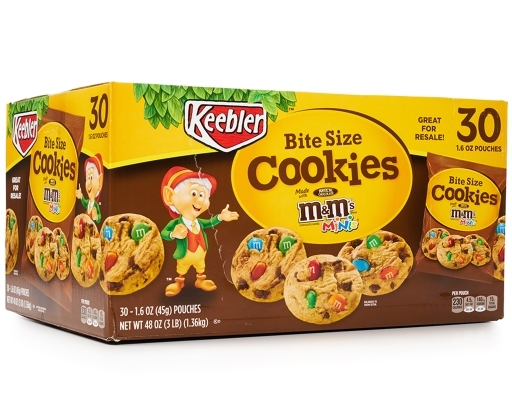 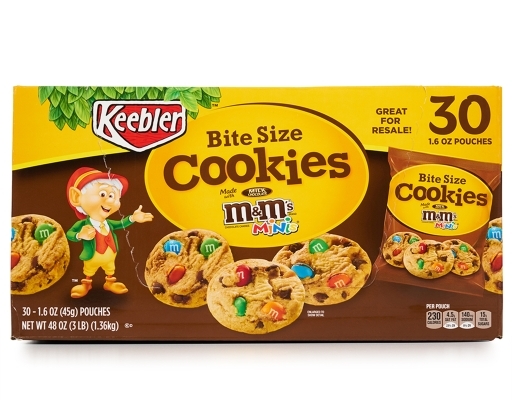 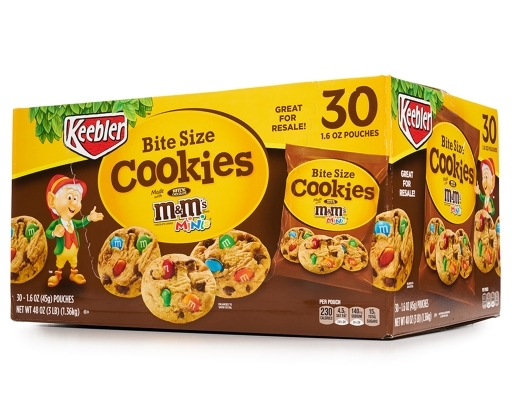 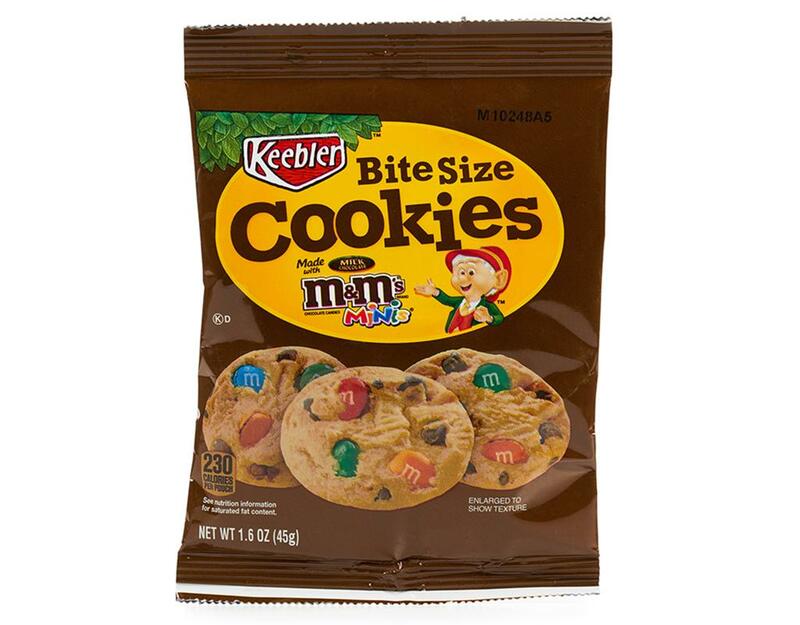 Keebler bite size cookies loaded with M&M's and chocolate chips in convenient, individually wrapped bags. 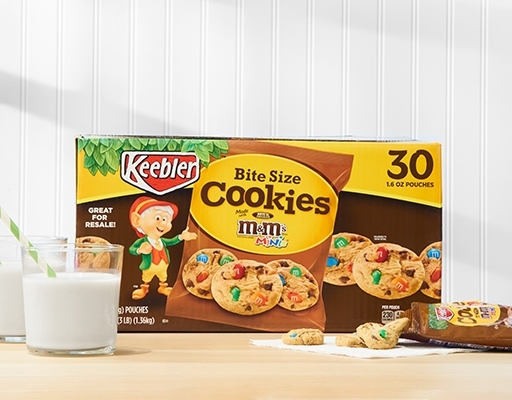 Rich, chocolaty M&M's mixed with Keebler cookies are bursting with M&M blasted, bite-sized, flavor. With 30 individual serving bags in each box, you'll have plenty to share, or just a lot to eat all for yourself! 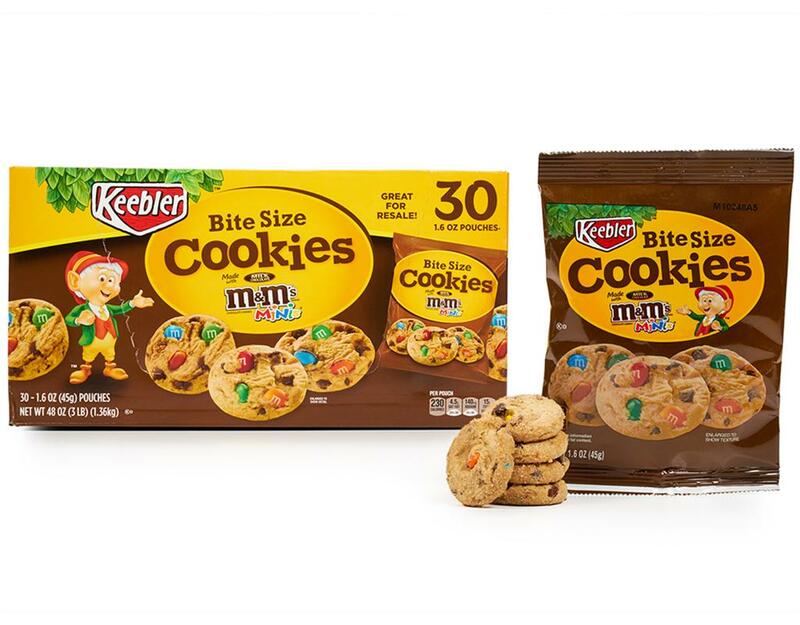 Pack some for lunch, or grab to snack on-the-go. 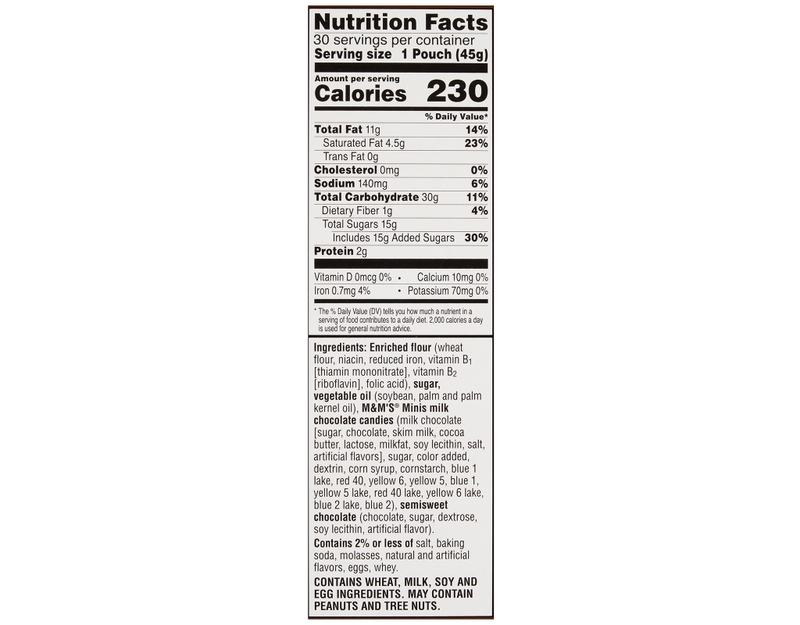 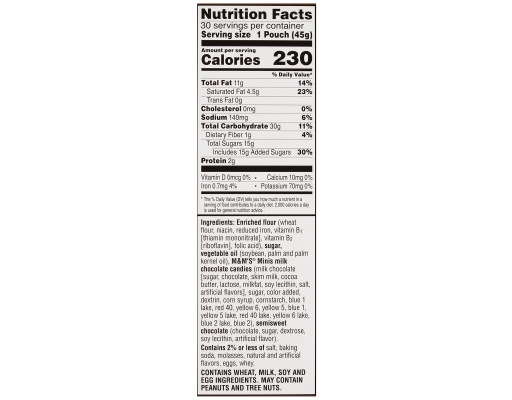 Forget greasy potato chips and stick with the chocolaty, crunchy Keebler M&M Cookie.